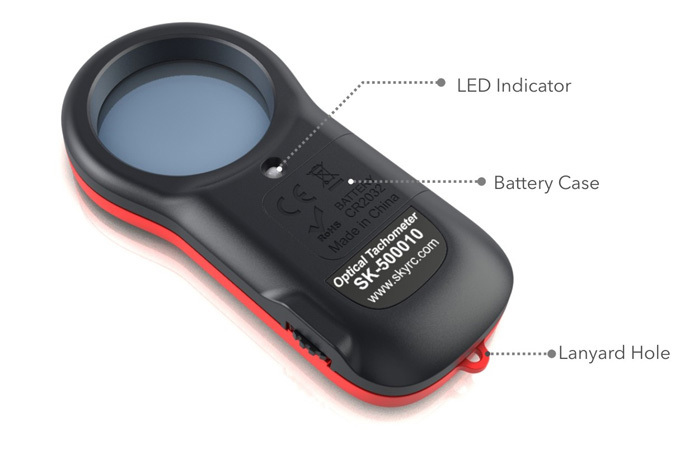 Applied for all kinds of helicopters, fixed-wing airplanes with propellers and multi-copters. 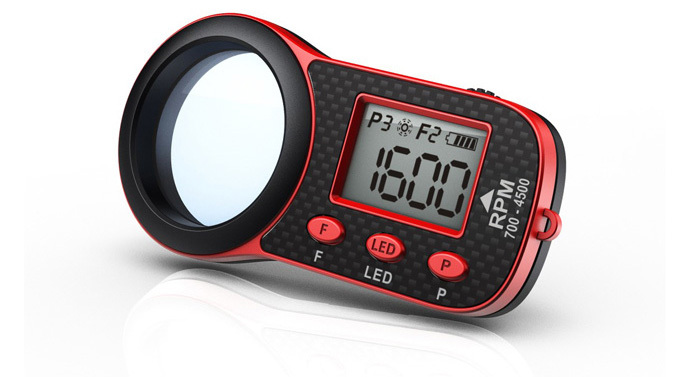 The RPM range that the Optical Tachometer could test is from 700RPM to 4500RPM. 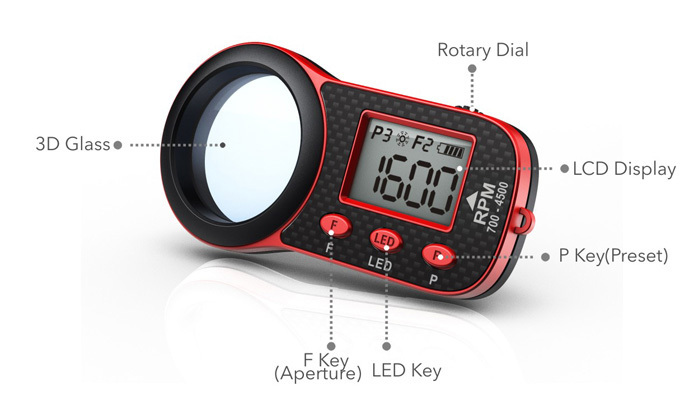 In order to make it convenient for you to enter close RPM and find out the exact RPM in a short time, 5 presets of RPM can be saved in this unit and you could enter any preset by pressing "F" key. 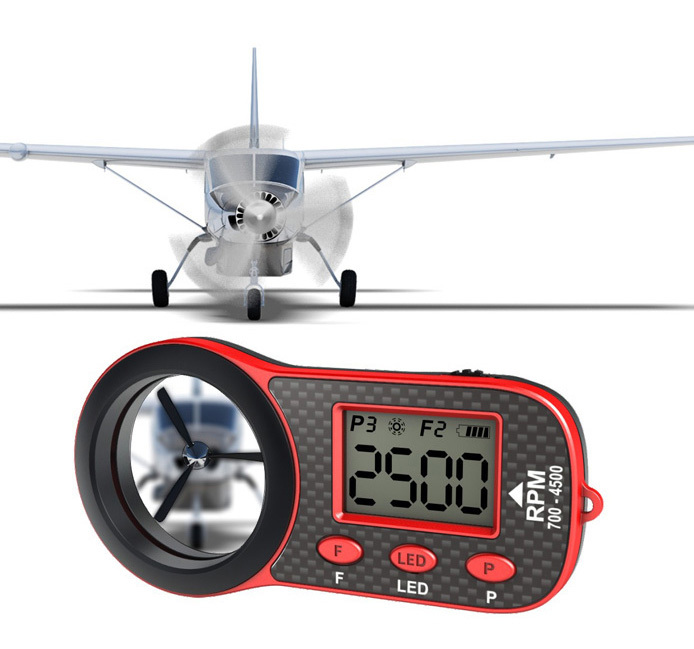 Each preset RPM value can be set according to your different helicopters and airplanes, and also the last RPM value before shutting off will be saved as preset. 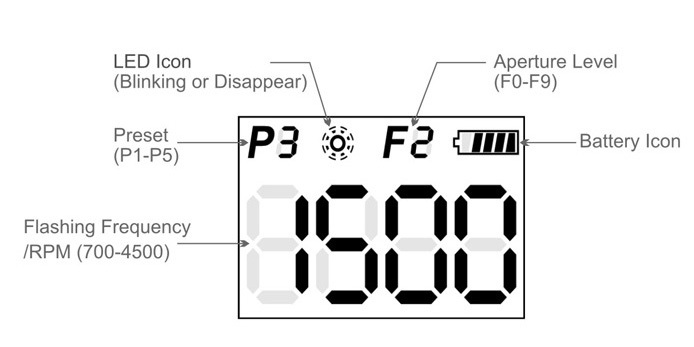 As the back light of the rotating object is quite different, there are 10 levels of aperture which can be set by pressing "F" key. 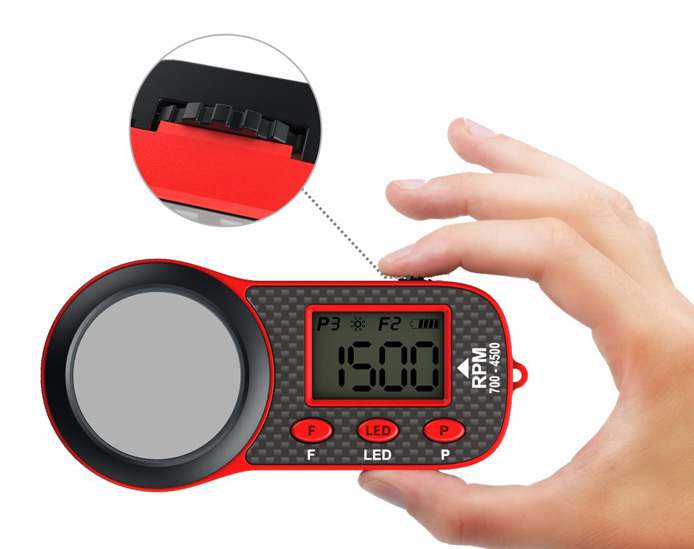 In this case,you could capture clear image through the 3D Glass Screen whether the light is bright or dark, so that you can get accurate RPM value of the rotating object.